Three Running Events, One Scenic Route, One Big Lola Challenge! 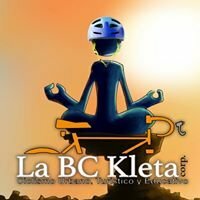 Lola Challenge Weekend is an innovative, non-profit event in San Juan, Puerto Rico. After it’s successful second edition in September 2015, where numerous participants filled the San Juan streets with empowerment, the Lola Challenge is back! On September 16-18, 2016, you will have the third chance of running one, two, or complete the challenge with all three male and female events: Friday’s Lola 5k Fun Run, Saturday’s Lola 10k Race or Sunday’s Lola Half Marathon. 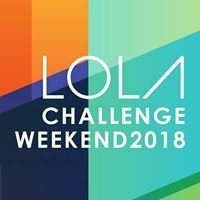 Each event has its own independent medal, but runners who decide to complete the challenge will receive an additional Lola Challenge Weekend Special Medal. We’ll kick off our event filled weekend with Lola’s Health and Fitness Expo, which will take place at Cuartel de Ballajá. Join us for conferences, exhibition booths, and to pick up your Race Packet. While empowering personal achievement, the races will provide runners the opportunity to enjoy the most stunning views of Old San Juan and Condado. For the third time in Puerto Rico, the races will have as the finish line backdrop one of the most beautiful, historical treasures of our island: Fort San Felipe del Morro (“El Morro”). For a look inside this enchanting fort, come and spend an evening under the stars with us at the Lola Pasta Party, our inaugural event. Furthermore, all proceeds from this event are donated to De Frente al Alzheimer, translating their major needs into reality. You’ll have a great time while helping those in need. Take the Challenge and be part of this unique event.